A former Hillsborough County school employee left battered and bruised after a student attacked her is calling for the district to do more to protect students and staff. HILLSBOROUGH COUNTY, Fla. — A former Hillsborough County school employee left battered and bruised after a student attacked her is calling for the district to do more to protect students and staff. DiPietro told I-Team Investigator Kylie McGivern she retired two years earlier than originally planned after a run-in with a 13-year-old student in November left her bruised. “He just kept beating, beating on the door,” said DiPietro. The door was locked, but DiPietro later opened it to collect an attendance slip. “This student came from behind a wall. He was waiting…jerked me through a metal door,” said DiPietro. “I was just ping ponging off of the metal frame." “(He) grabbed me by my shoulders, then like twisted me around, then grabbed me by my forearms, screaming the whole time, yelling,” said DiPietro. Records from the Hillsborough County Sheriff’s Office show the student was arrested and charged with two counts of battery on DiPietro and a school nurse. But the I-Team found it wasn’t the only report of violence that day. A large fight broke out at Burnett Middle School, which is why DiPietro had locked the door. “A deputy ran to my door with about 20 students behind her trying to get in, screaming to me, ‘Lock your door, lock your door, lock your door,’” said DiPietro. 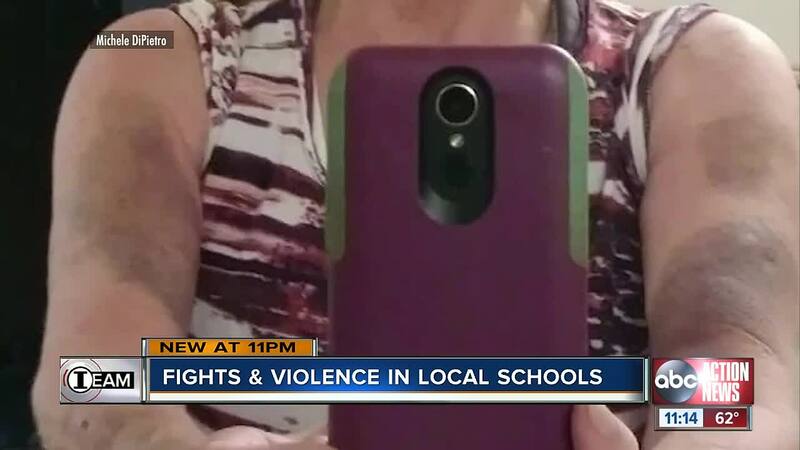 I-Team Investigator Kylie McGivern uncovered Hillsborough County Schools reported the third highest number of fights in the state last school year, according to new numbers from the Florida Department of Education. 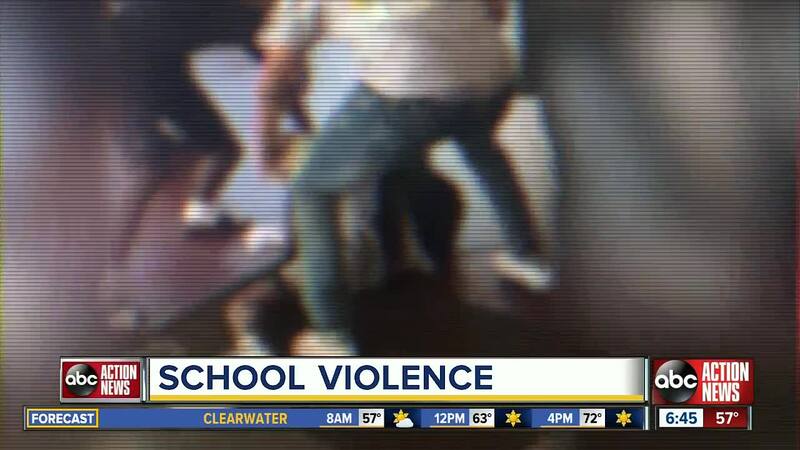 The I-Team also found multiple violent fights caught on video at district schools, including Burnett Middle, Brandon High School and Armwood High School. “It is heartbreaking to see children fighting each other,” said Kim D. Moore, director of administration for Hillsborough County Schools. 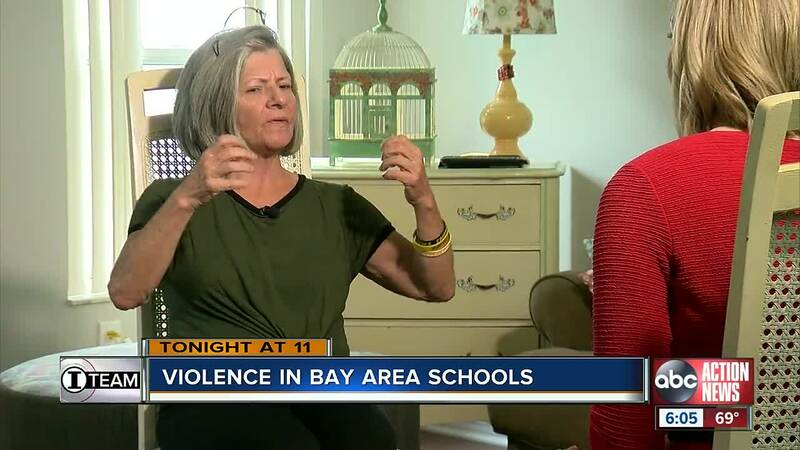 Moore, a former principal who oversees discipline for the school district, told the I-Team the arguments that fuel fights often start off campus. Hillsborough County Schools Superintendent Jeff Eakins said he takes safety issues seriously. “If there are situations that have occurred across the district that people say, ‘I still don't feel safe,’ we want to know that,” said Eakins. Eakins said his district – the third largest in the state – makes sure staff is working to build trust with students in order to prevent violence in schools. But DiPietro insists Eakins and the district need to do more to make schools safe. “If his teachers are getting beat up in the classroom – both verbally and physically – that needs to be a priority,” said DiPietro.